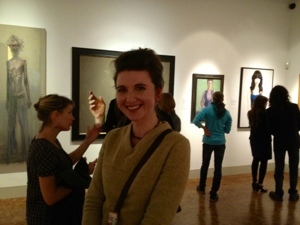 Her portrait was gorgeous face to face and had a beauty and subtlety that doesn’t come across online (no 32). You can just see it over her shoulder. This entry was posted in Other artists by ianpriceart. Bookmark the permalink.